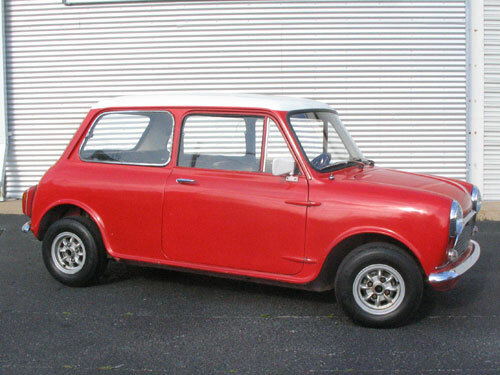 In the mid 1960s, Austin decided to produce the Mini in South America. Knowing the production volumes would not be large, they could not afford to make another set of stamping dies for another factory. 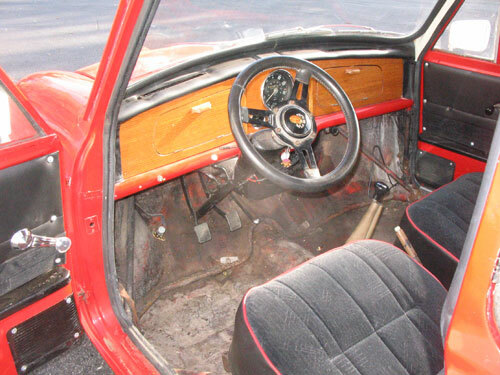 Austin contracted with Peel Engineering, who made the famous microcars, to make a prototype Mini out of fiberglass. Peel built several prototypes, and they were tested extensively for durability. After passing the tests, the fiberglass molds were sent to Chile and the bodies were produced locally. All other parts of the Mini were shipped to Chile and the cars were assembled there. Although the fiberglass body is almost identical to the steel body, the fiberglass body does not have the seam at the rear edge of the front fenders.